Ewald is a name Milwaukee and surrounding communities has trusted for over 50 years. Your tires are the only thing that keeps your car on the road and not only affects traction in rain and snow, but is a major contributor to your vehicles ability to stop while braking. Legal safety standards require at least 3/32" of tire tread for safe highway operation. 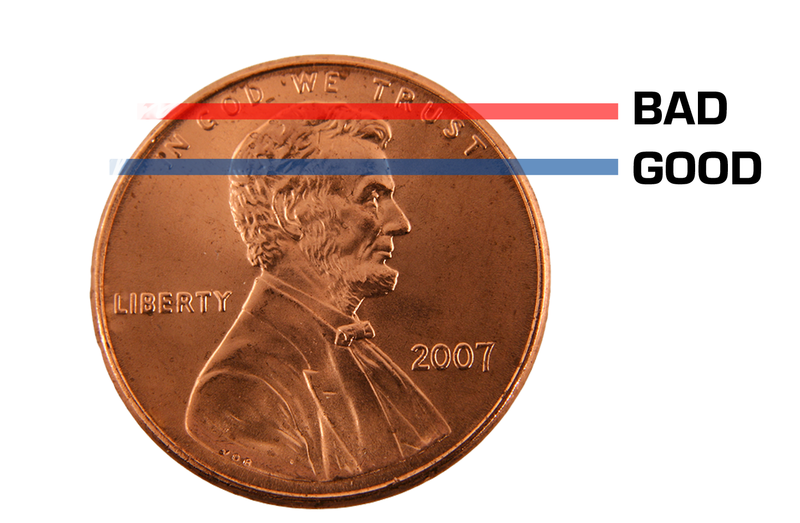 An easy way to check is take a penny and turn Lincoln's head down into your tread. If you can see the any space above Lincolns hairline your tires are UNSAFE. Proper tire inflation is also critical for safe vehicle operation. Too much tire pressure can cause premature wear in the center of your tires. Too little inflation can cause premature outer tire wear and it dramatically reduces your vehicles fuel mileage. Why? Simply because it's harder for your cars engine to move your vehicle along with soft mushy tires- this resistance takes more gas to make your car go! All Ewald Tire and Service centers offer Nitrogen Fills for your tires as a solution for helping maintain consistent tire pressure in your vehicle. Nitrogen doesn't naturally escape your tires like regular air does, so you don't have to top off nearly as often. Nitrogen is so effective it is used in NASCAR for racing and by the U.S. Military in the tires on planes. 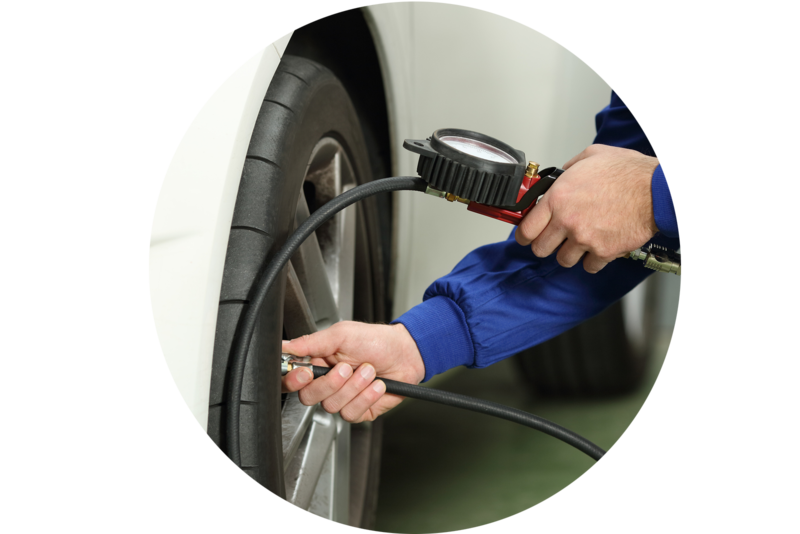 Ewald Automotive Group Tire and Service Centers are here to help. We have tires available for every make, and we guarantee the lowest price. We also provide FREE lifetime wheel rotations with the purchase of 4 tires anytime. Check out our tire configurator below for some options that work for you. Of course you can always stop in anytime or give us a call too. Thank you for considering Ewald Tire and Service Centers where we make it Easier!